We are number one on FreeIndex for Electrical Contractors, here are just a few of the reviews we have received. 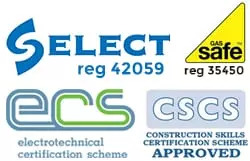 At EICR Edinburgh customer satisfaction is very important to us. If you have any questions feel free to contact us where we will do our utmost to help. We are often on site and may not be able to answer your call straight away, please use the call back form or email us and one of our team will get back to you the same day.